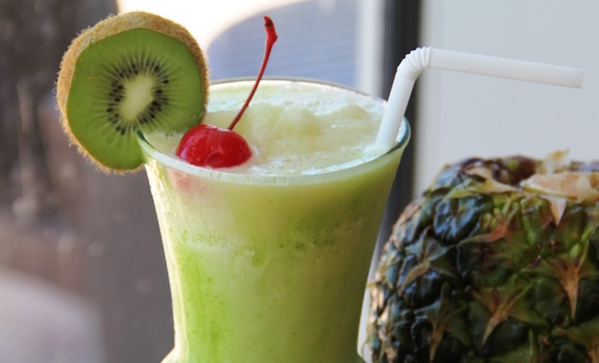 The Caribe Hilton claims to be the home of the original piña colada, which, fun fact, is the official drink of Puerto Rico. They’re opening a new bar (the Caribar) this March, so they made this new cocktail to celebrate. Pour all the ingredients into a blender and blend until smooth. Pour into a chilled glass, garnish with a maraschino cherry and lime slice.